California is soaked after a long weekend of heavy rain and for us natives, this is our version of a winter wonderland. To get ahead of the chaotic December month, we spent the weekend decking the halls. 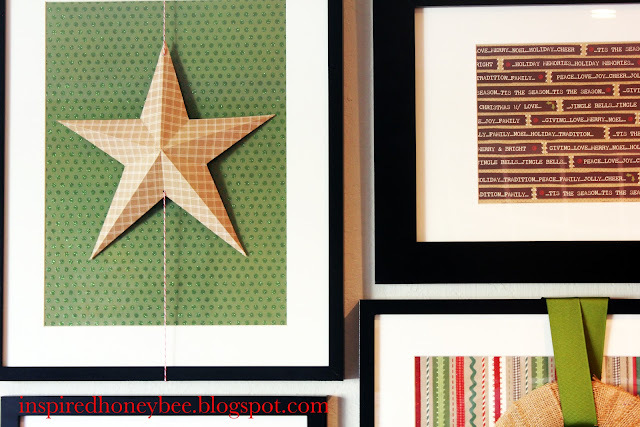 First on the docket, I changed out my incomplete gallery wall with a few sheets of holiday scrapbook paper and 3-D pieces. 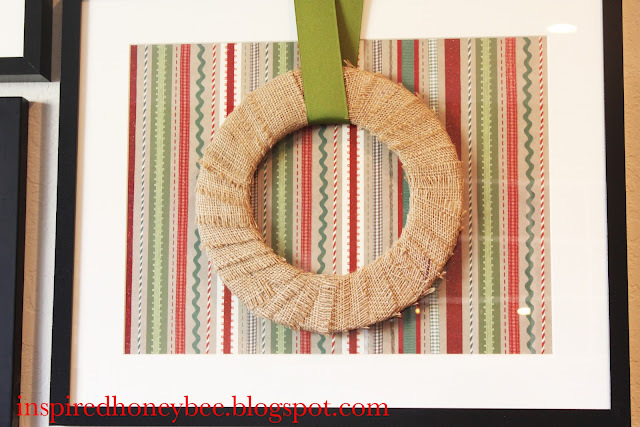 The circle wreath is the special feature from our Fall mantel and I wasn't ready to let it go. 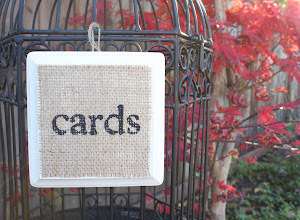 The 'C' was sitting on a shelf in our room and I wrapped burlap around the letter. Finally, the 3-D star was pinned months ago on Pinterest and I took the road less traveled and actually tried something that I pinned. We're pretty thrilled with how this turned out and I didn't spend a dollar ... just walk around the house and see what you have to create your own holiday gallery wall! Such good use of your already hung frames! 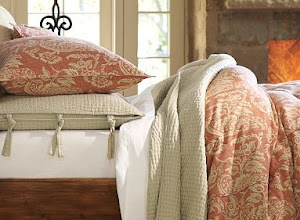 Can't wait to see the rest of your decor, IHB! I absolutely love this idea! Everything looks perfect together. 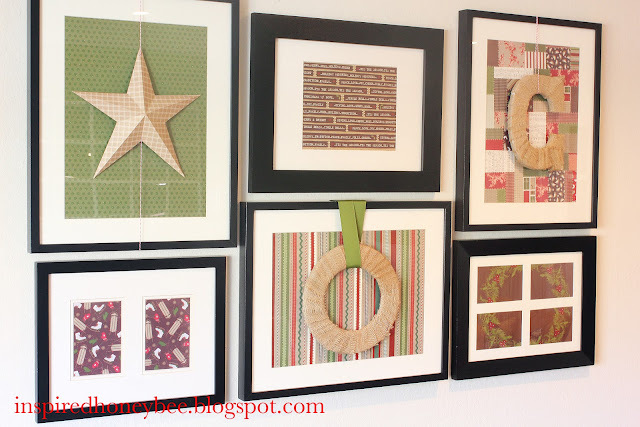 great idea to holiday up your gallery wall!!! 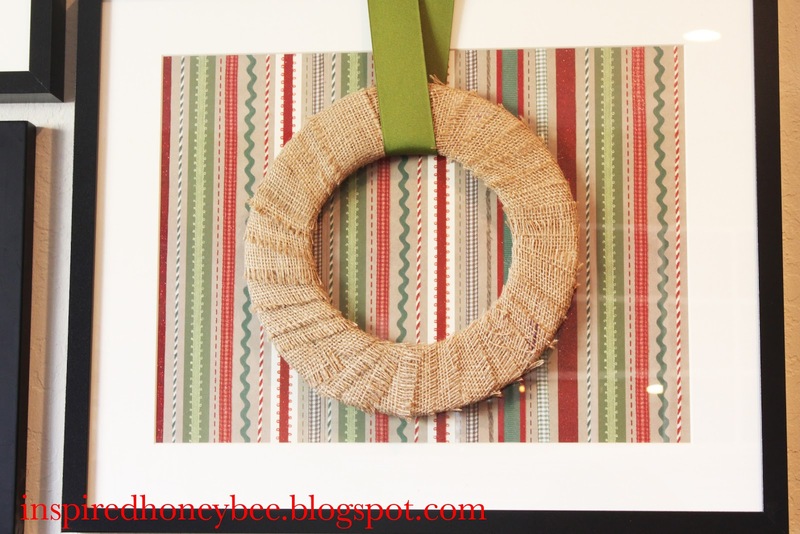 I love that you transitioned your fall wreath into Christmas decor! 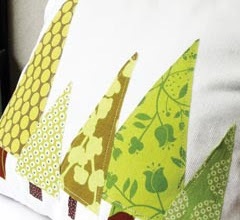 so smart to make temporary holiday decor!